The U.S. indictment against Ahlam al-Tamimi was unsealed last week. AMMAN: Jordan's highest court has blocked the extradition of a Jordanian woman who faces U.S. charges in the 2001 bombing of a Jerusalem pizza restaurant that killed 15 people, including two Americans. Jordanian state media reported on Tuesday that a day earlier, Jordan's Court of Cassation upheld a lower-court decision on grounds that Jordan and the United States don't have an extradition treaty. The military's news website Hala Akhbar quoted al-Tamimi as saying she had been confident the Jordanian judiciary "will be fair to me." U.S. prosecutors allege she accompanied the suicide bomber and ordered him to detonate the explosives. 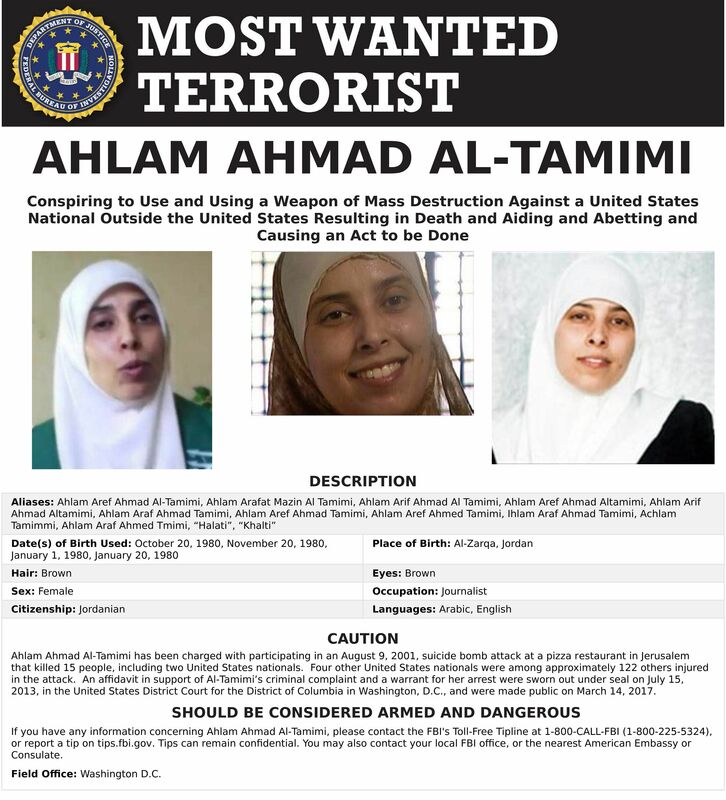 Al-Tamimi was imprisoned in Israel, but released to Jordan in a 2011 prisoner swap between Israel and the Islamic militant Hamas.